The city of Hannibal was named a Tree City USA for the 20th year. The Arbor Day Foundation recognizes cities for commitment to effective urban forest management. 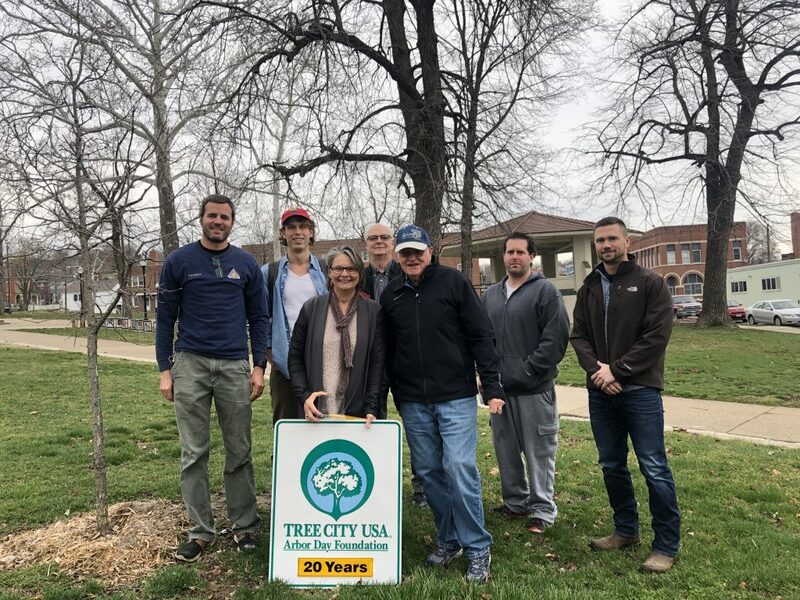 Hannibal achieved Tree City USA recognition by meeting the program’s four requirements: a Tree Board, a tree-care ordinance, an annual community forestry budget of at least $2 per capita and an Arbor Day observance. There will be an Arbor Day tree-planting in Central Park and on Broadway on April 26. Pictured from left are Tree Board members Kyle Monroe, Stefan Franke, President Kristy Trevathan, Harry Graves, Ed Tamerius, Maxx Vance; and Hannibal Parks & Recreation representative Aron Lee.